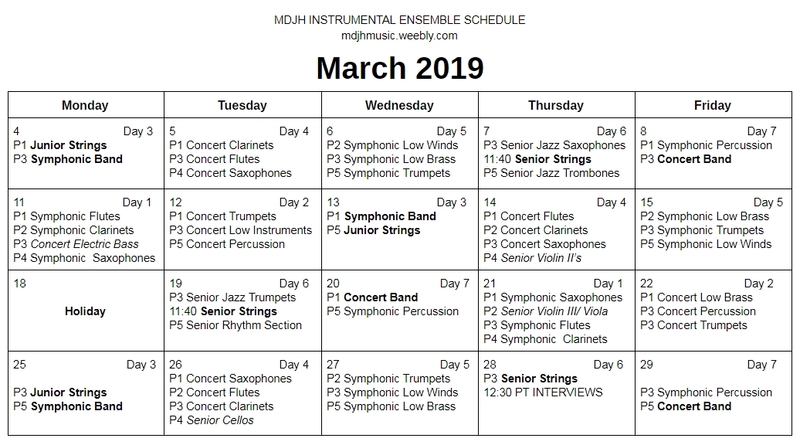 The latest MDJH newsletter is now available! Click here to view it! 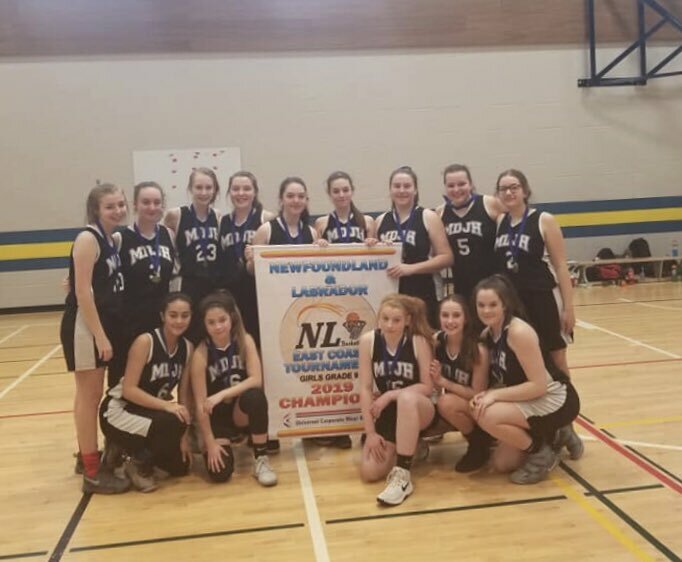 Congratulations to the Grade 9 Girls Basketball team on winning the Provincial Championship this past weekend! 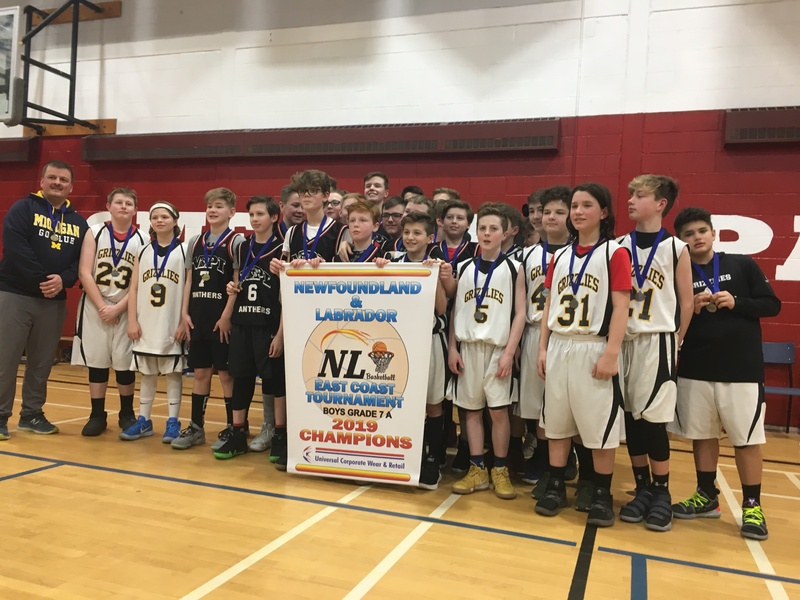 Congratulations to the Grade 7A Boys Basketball team on winning the silver medal at Provincials this past weekend! 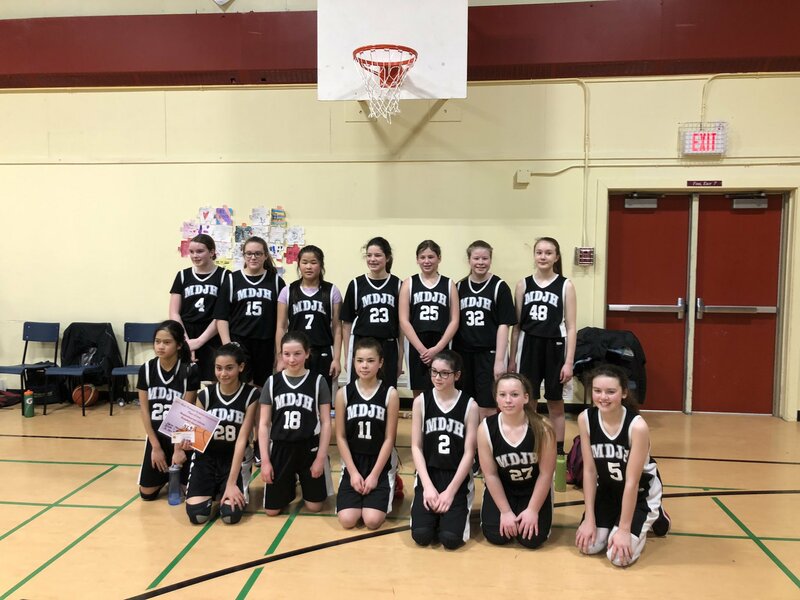 Congratulations to the Grade 7 Girls Basketball team on their performance at Provincials this past weekend! Grade 9 students can apply for a bursary to attend a 3-week summer program at Campus Notre-Dame-du-Foy (Saint-Augustin-de-Desmaures, Québec). The Grade 9 program is open to all Grade 9 students, regardless of their level of French (beginner to advanced). Bursaries are paid directly to the institution and cover tuition, registration fee, room and board, instructional materials and all compulsory activities. Bursary recipients are responsible for their own transportation costs and pocket money. 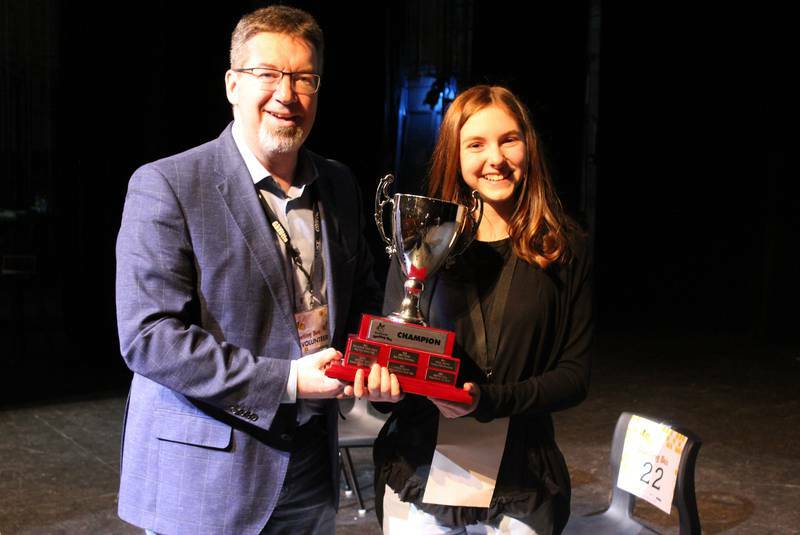 Congratulations to Maria, who placed first in The Telegram Spelling Bee! Congratulations also to Tanish, MDJH’s other competitor. It was a great day for spelling! For more information, click here to go to The Telegram’s article. Best of luck to Maria on her upcoming trip to Washington, DC, to compete in the National Championships! 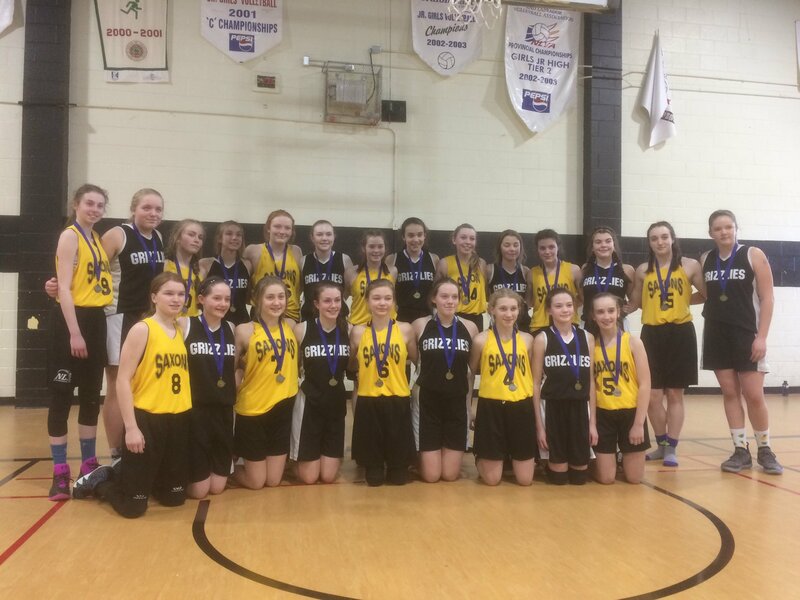 Congratulations to the Grade 8 Girls Basketball Team for winning the “A” Provincial Basketball Championship! 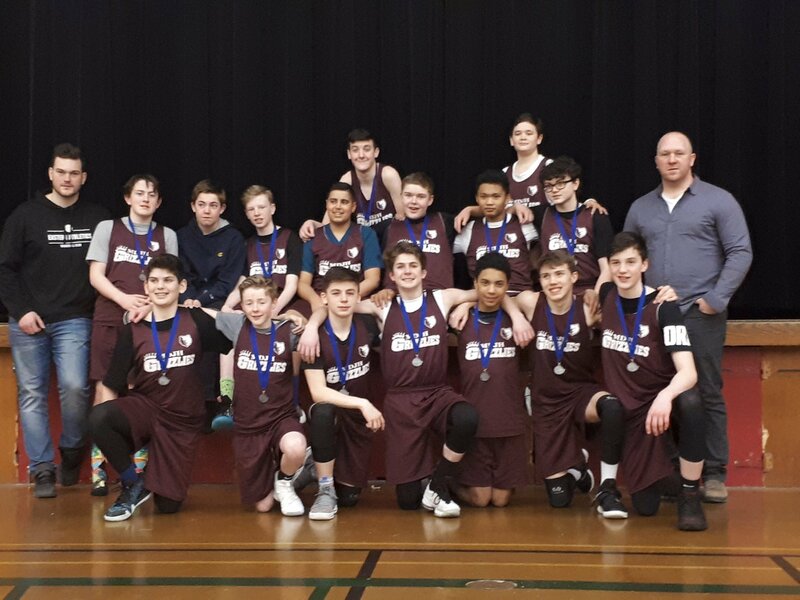 Congratulations to the Grade 8 Boys Basketball Team on taking Silver at the “A” Provincial Basketball Championship! NLESD is once again offering Mini-Enrichment to students during the Spring of 2019. These mini-courses are held at locations such as Memorial University and the College of the North Atlantic, and give students the opportunity to explore new educational areas. The deadline for receipt of applications is Tuesday, March 12th. Each application must be accompanied by a $45.00 deposit (payable to Macdonald Drive Junior High). This deposit is non-refundable if the application is successful. Students attending a mini-course will be responsible for their own transportation to and from the location of the mini-courses. Application forms are available from the main office, or can be downloaded by clicking here. Students are asked to choose four courses and list them in order of preference, and will hopefully be selected for one of these four. For more information, please refer to the application form. Click here to view the course catalogue, or stop by the main office. Due to the impending weather, schools in the Metro region will be closing three hours early today (Monday, February 25th). MDJH will be closing for the day at 11:21 am, the end of our third period. Buses will begin their regular end of day runs at that time. On Wednesday, February 13, two grade nine classes were treated to a visit by Senator David Wells. The program SENgage sponsored the visit as a way to communicate the role of senators in the Upper Chamber of the Federal Government. Senator Wells immediately connected with students through stories of his days attending MDJH and his adventures in mountain climbing. He then discussed the process of debate and passage of legislation in the senate. Students were surprised to learn that the Senator’s duties extended to the international stage as well through his participation on committees throughout the world. 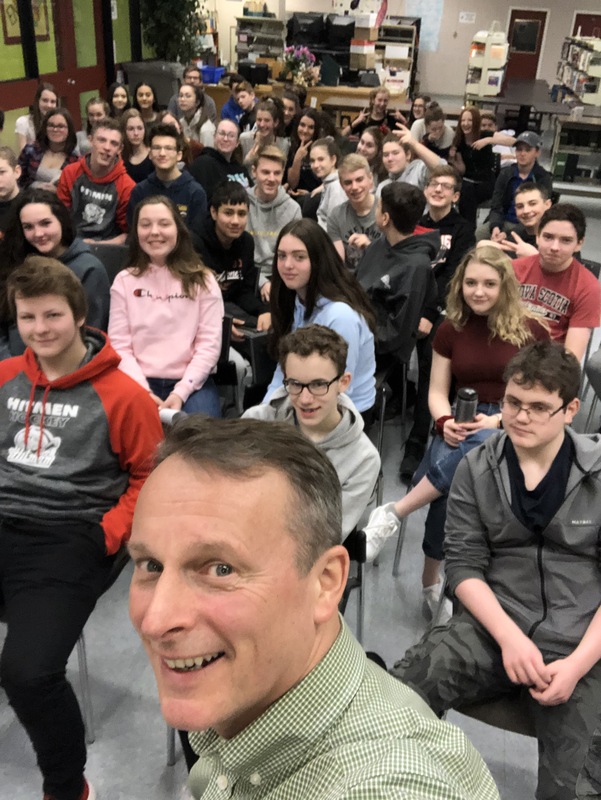 Mr. Wells advised students on the importance of lifelong learning and the ability to be conversational on a variety of topics, even if those topics don’t interest them. This advice resulted from a discussion of events that led Senator Wells to the position he now holds. Great advice, indeed! For students and parents interested in attending Holy Heart in September, there will be an information session on Tuesday, Feb 26th at 6:00 pm at the Holy Heart Theatre. This session will cover such topics as course selection, the transfer process, and the International Baccalaureate (IB) Program.